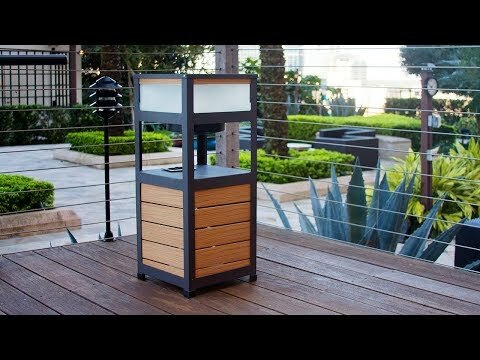 This weatherproof, solar-powered outdoor Bluetooth speaker is a modern piece of furniture that enhances your time outside, by a lot. It plays music, creates ambient light, and even charges your device. Enjoy your time outside more easily and efficiently. Dimensions: 12" x 12" x 30"
Has performed as advertised -- used the speakers and light. Couple of things and maybe I'll get the answers somewhere: - The loose chord inose chord in the light area bothers me and would tape it down. - Not sure if the unit is water resistant or water proof. Envisioned it in a pool area. 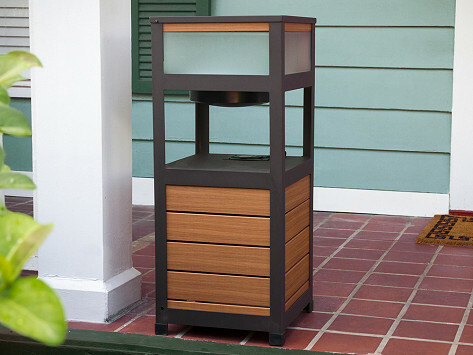 This porch-side companion recharges fully with 12 hours in the sun, or after being plugged in for four. It’s modern-looking furniture that deftly disguises all of its helpful functions—making it easier to kick back and relax outside.